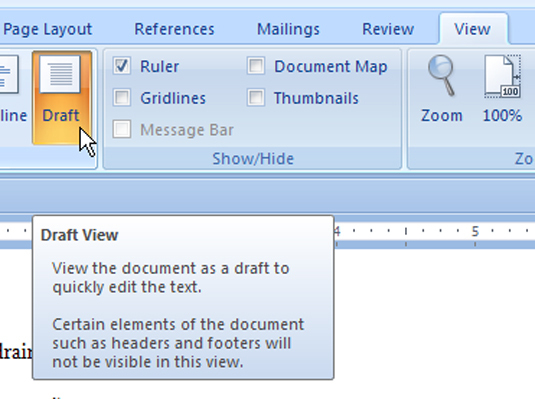 Writers and editors can communicate behind the scenes in Word 2007 with the Comment feature. Some people prefer not to see embedded comments displayed in the Comment markup window. 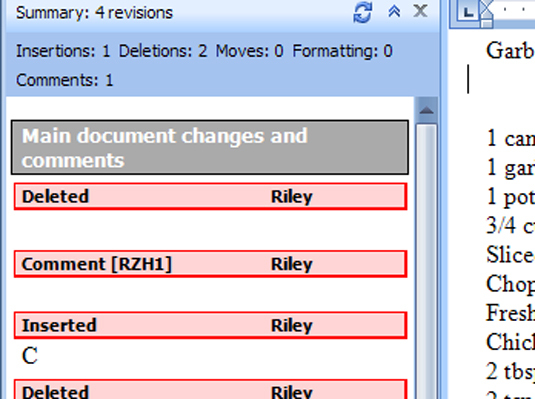 You can easily hide comments — without deleting them — when reading and editing a document. 1From the View tab, click the Draft button. Look for the Document Views group. 2Click the Close button (X) in the upper right of the markup window. Find the markup window on the left side of the Word 2007 window. The markup window disappears, but the comments remain, as do the highlighted initials and number of each comment.